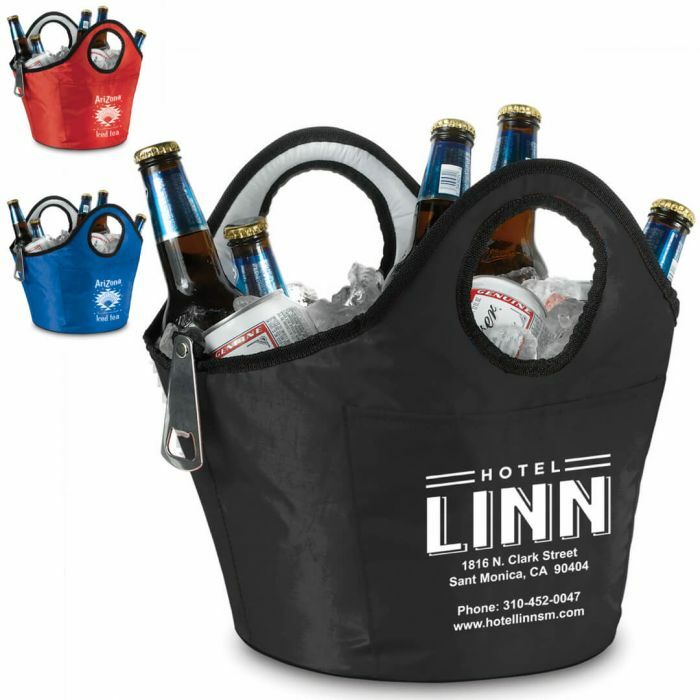 70D Polyester with large front pocket, fully insulated to keep drinks colder, large capacity, bottle opener attached. Imprint Area 6" W X 4" H; Print on pocket only. Production Time Free 24hr production. Add 2 work days if a virtual proof is required. Full color production time is 8 work days. Setup Charge $49.00 per ink color.